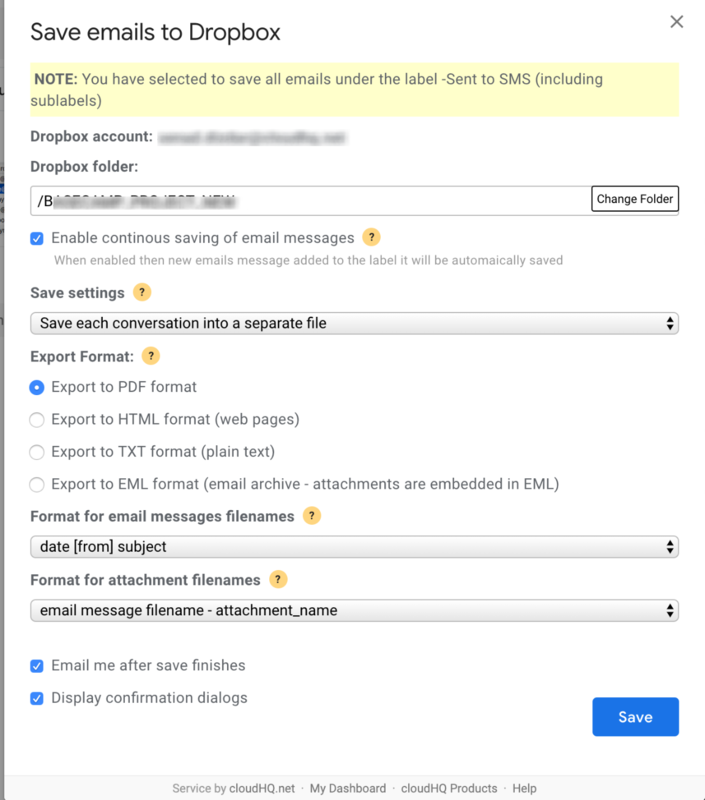 NOTE: If you want to save a single email to Google Drive, please check the following support note: How to save a single email or conversaion to your Google Drive. 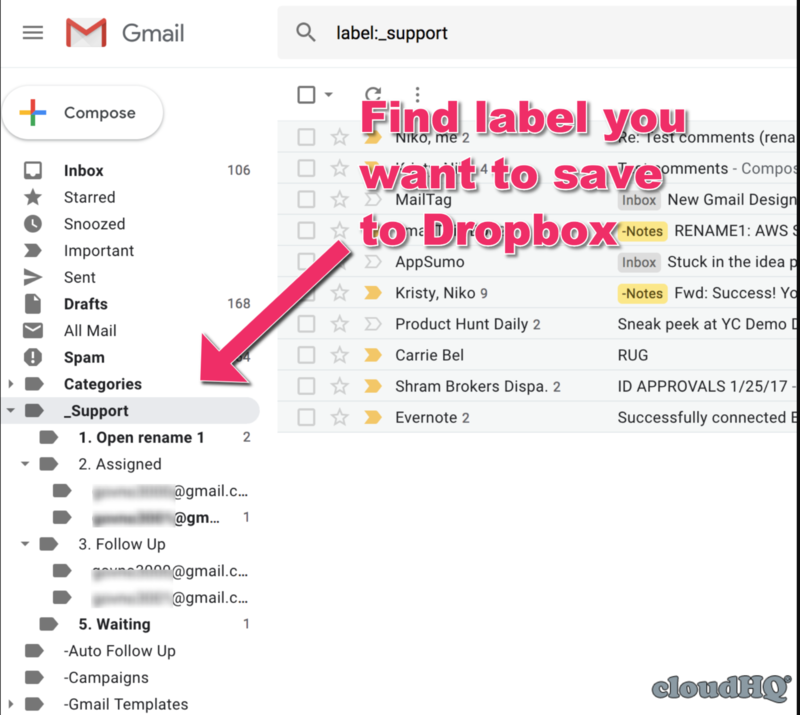 cloudHQ Save emails to Google Drive can save and convert to PDF all emails in a label and sub-labels to Dropbox or Dropbox Team folder. For example, if you have a label called “Support” and that label has sub-labels “Open tickets” and “Closed tickets”, then you can with one click save all emails in labels “Support”, “Support/Open tickets” and “Support/Closed tickets” to a Dropbox folder called “Support”. 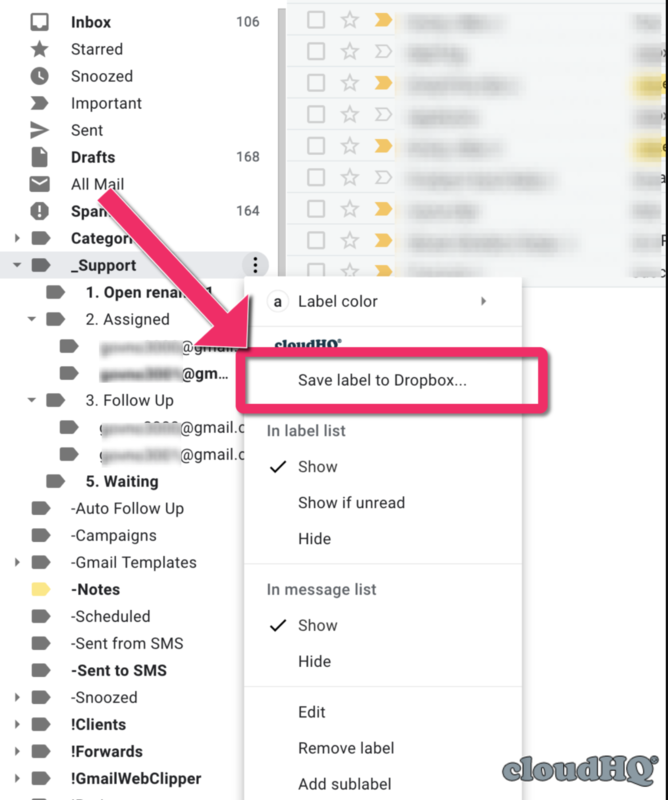 Open your Gmail and go to the left side of your inbox and find the label you want to save to Dropbox. If you cannot find the label, scroll down, and click on More and list will expand.